Josh Pacheco remembers his very first opportunity to call a collegiate game. It was a University of Hawaii-Hilo women’s volleyball match, and the 18-year-old, wide-eyed student stepped up to his broadcast position ready to show the radio world what he could do. There was just one slight problem. Now 32, Pacheco has come a long way from that shaky debut. 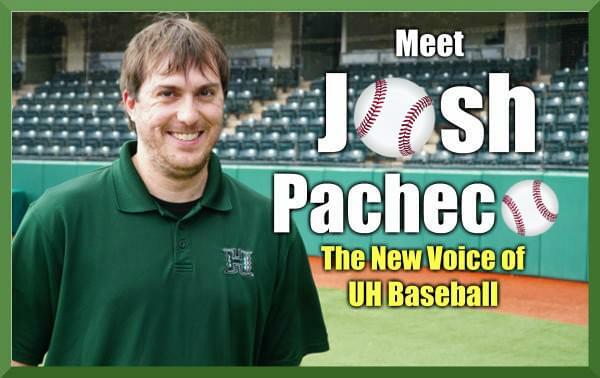 The Hilo native (Saint Joseph School, Class of 2005) is about to begin his first full season as the new radio voice for University of Hawaii baseball. The Rainbow Warriors open the season against Portland on Friday, Feb. 15 at Les Murakami Stadium. ESPN 1420 recently sat down with Pacheco, who doubles as the station’s Assistant Program Director, for the following interview. ESPN 1420: Did you always want to be a play-by-play announcer? PACHECO: When I was young, I actually had a couple of interests. At first, I thought I would be a television weatherman. In the fourth grade, I wanted to give the weather report to the class. I’d have a [weather] map on the wall next to the chalkboard. If I did well in class, at the end of the I’d be allowed to give the weather report. Weirdest thing ever! I also liked sportscasting. I watched a lot of sports when I was younger. I didn’t watch a ton of other stuff. I’d play video games and do play-by-play in my head. It just always stuck with me. As I got older, I couldn’t think of anything else I wanted to do. My Dad fixes heavy-duty trucks like Peterbilts and Kenworths, and I didn’t want to do that. I just loved the idea of sportscasting, and getting the opportunity in college really enhanced my passion for it. ESPN 1420: Growing up, did you have a favorite sports announcer? PACHECO: By far, it was Jon Miller. He still does the [San Francisco] Giants games, and he did the Sunday Night games on ESPN television for a long time. I loved his delivery. I remember my Dad would make me wash his truck, and instead of listening to music while doing the washing, I would listen to Giants games. Jon’s delivery was well paced, and he told genuinely good stories. You always knew what was happening, and you could tell how passionate he was about what he was calling. That always stuck with me, and because of that I always wanted to model myself after him. I’m not a Jon Miller, obviously, but the principles he has – describing the action and taking the time to really set up a scene – still resonate with me. He was the guy that I paid attention to and studied. ESPN 1420: How did you broadcast career get started? PACHECO: UH-Hilo had a student radio station, and I did some shows there when I was a senior in high school. The adviser there was John Burnett, who did play by play for the Vulcans as well as high school games. Out of the blue, I asked him, “Have you tried having college broadcasters do play by play as a training ground?” They hadn’t, but they set up a second stream so we could try it out. I did some volleyball and basketball, and that was my start. ESPN 1420: You attended UH-Hilo for a while. PACHECO: I went there for a couple of semesters, and then I got a full-time offer at Pacific Media Group. They had some music stations as well as the ESPN radio affiliate for the Big Island. I started out as a board operator and did some music shifts, and then, when I was 21, I became their Program Director. 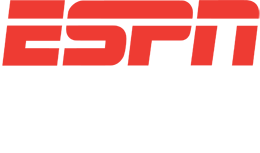 ESPN 1420: You moved to Honolulu and joined ESPN 1420 in the fall of 2017. And now, less than two years later, you’re the new voice of Rainbow Warrior baseball. Do you feel any pressure following local broadcast legends like Don Robbs and Jim Leahey? PACHECO: Oh, yeah. There’s always going to be pressure because I’m always going to be judged based on what they did. But I’ll say it right now: I cannot fill Jim’s shoes, and I cannot fill Don’s shoes. The level of excellence that they established is incredible. But although I can’t fill their shoes, my intention is to continue the excellence that they left. Obviously, I’m going to do it in my own style, but I still aim to paint the picture, convey what’s happening that the listeners can’t see; and getting people to appreciate what Hawaii baseball is. If we can present the broadcast in a way that makes people enjoy listening to the game and appreciate the product that the University of Hawaii is putting out, then I’ll feel like I’ve done my job. I think working with Jim for 15 games last season really helped me to prepare for this. So I just want to continue the standard that he and Don set, and do things the right way. One of the SIDs at UH pointed out to me, “Think of it this way. Yes, it’s college baseball. But UH is not your average college baseball team. This is Hawaii’s major league team.” I take that to heart, and it’s a real blessing to be able to do this. ESPN 1420: Who will you be working with? PACHECO: Scott Robbs will be my partner for most of the season. I know he’s got his television duties as well. Harrison Kuroda is going to step in for a few games; he’ll be with me for the first three games of the Portland series. I’m really looking forward to working with Scott. He’s a good friend of mine, and he’s been incredibly encouraging to me. He has so much energy and is as fun as they come. ESPN 1420: The first pitch of the 2019 season is just days away. Are you nervous at all? PACHECO: Trust me, I’m nervous! Prepping for each game is actually the fun part. The real nervousness comes when the microphone turns on at 6:05 on a Friday night. But that’s okay. I always believe that it’s fine to be nervous because that means you care. If I ever walk in with the casual attitude of “Eh, I got this,” then fire me. The day I just phone it in is the day you may as well look for my replacement. I’m going to be critiquing myself throughout the season because I want to be the best University of Hawaii baseball announcer that I can possibly be. ESPN 1420: Last question: Tell us something about yourself that most of our listeners may not know. PACHECO: I used to play percussion in the Hawaii County Band, which is kind of similar to the Royal Hawaiian Band, except it’s part time. I started as a volunteer when I was a sophomore in high school, and I became a paid member going into my senior year. I did it for 12 or 13 years. I miss it every once in a while. In my senior year, I also did a gig in a rock band. They needed a drummer and I helped out. We played Green Day and the Ramones. I lasted just that one gig, and then I left. I haven’t actually touched the drumsticks since I got here. I’m probably really rusty!